There are two different shades of gold jewelry, yellow gold and white gold. In this article we will tell you all about yellow and white gold as well as fill you in on what exactly gold karat is. You might already have a preference as to what color of jewelry you like to wear. Most people only like one shade of gold jewelry, but there are some who like both. Pure gold is 24 karats, or 24K. 24K is much too soft to make jewelry from and as the number goes down the harder the piece of jewelry will be. What makes it harder and less pure is using an alloy metal like copper or zinc (for yellow gold) or zinc, palladium or nickel (for white gold). 18K gold jewelry will have 75% pure gold and an alloy of 25%. The more pure gold in the ring, so the higher the karat the more expensive it will be. This doesn’t mean that it will be as high quality, since the higher the pure gold rating, the softer the gold, the easier it will wear. Yellow gold is mixed with an alloy of metals like copper or zinc. It is a yellow-golden color and is popular among those who are glitzy or classy; it looks best on those with darker skin. 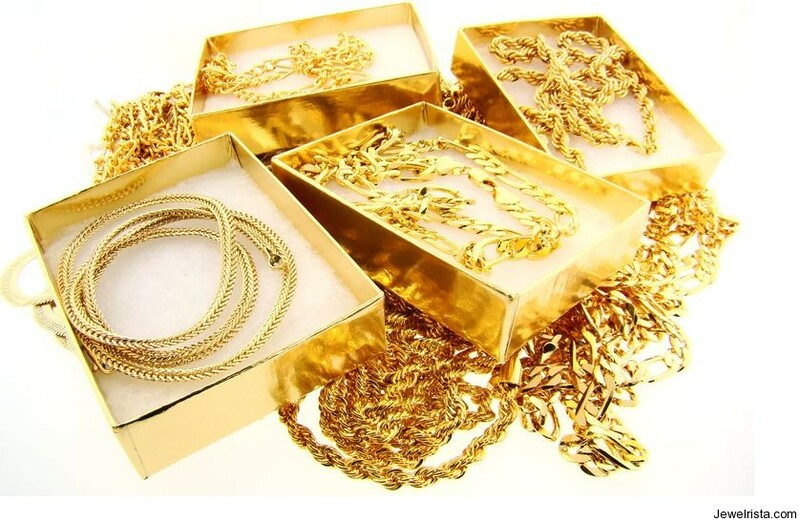 Yellow gold is used to make rings, necklaces, bracelets, cuff-links, brooches and any other type of jewelry you can find. The lower the karat, the harder it will be and also the cheaper it will be. 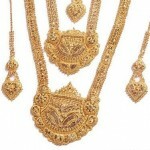 The price also depends on the design as well as the gemstones that are in it. White gold is an alloy of pure gold with other metals like zinc, palladium and/or nickel. Many people have an adverse skin reaction to nickel so if you are aware of this reaction it would be best to stay away from white gold. 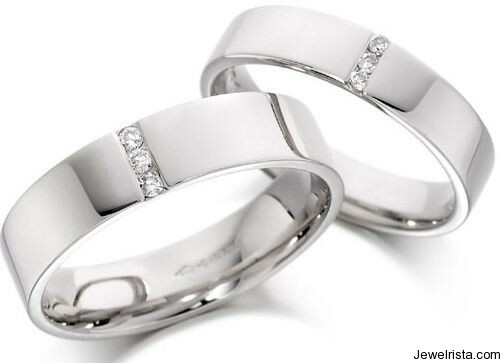 After it is mixed, white gold is plated with another metal called rhodium. This makes it much harder as well as gives it a shiny and lustrous effect. Because of this, white gold is usually less pure than yellow gold. White gold is sometimes more expensive than yellow gold simply because it is more popular today. Many women will choose either white gold or platinum because it is more flexible and looks better with other jewelry items and outfits as well as the occasion. You will find white gold rings, bracelets, necklaces, brooches and many more jewelry items made from white gold. 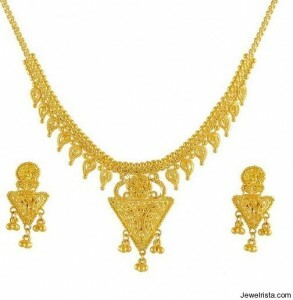 The design and gems added to the white gold jewelry will also affect the price of the item. When you choose the shade of gold for your jewelry piece you want to make sure that if you are purchasing it as a gift that you are getting the right color for the recipient. Many people favor one color over the other and if they have a collection of white gold jewelry, the will likely want to have something that will match it and go well with it. Others like to wear both shades of gold jewelry at the same time; there are also some jewelry pieces that will have both types designed into them. If you or the recipient of your gift likes both shades you will find many different pieces that will look great. Whenever you purchase gold jewelry you want to make sure you get it from a jeweler who is reliable, honest and helpful. You also will want to get the piece appraised before or right after your purchase so that you can insure it correctly and know exactly how much it is worth.